The students of Samuel Gaines Academy of Emerging Technologies were excited to raise money to benefit the March of Dimes. Students were asked to make donations and they were able to choose a bucket to put it into. Each bucket represented a different administrator on campus. The administrators’ buckets with the most money would receive a pie in the face! 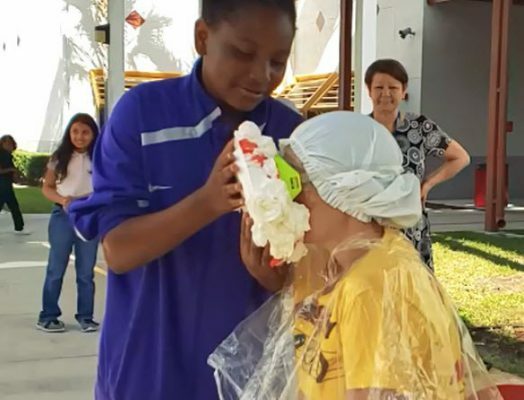 Students could also purchase raffle tickets to be chosen as a pie thrower. Thank you to everyone at SGAET who donated to this worthy cause!